Condominium units in Tanjong Rhu waterfront district are in the spotlight. There were 8 transactions for apartments in the area, according to caveats lodged between June 14 and 21, with deals generally in the $1,160 to $1,400psf range. The most actively traded condo seems to be the 510-unit Pebble Bay, developed by DBS Land (now known as CapitaLand). The 99-year leasehold condo was completed in 1998 and overlooks the Kallang Basin. It is probably the first condo that can boast of water views. 3 units at Pebble Bay changed hands from June 14 to 21. Prices achieved were between $1,225 and $1,400psf. The unit that was sold for $1,400psf was a 2,626sqft four-bedroom apartment on the 12th level with unobstructed views of the Kallang River as well as the Singapore Indoor Stadium, says Clinton Lim, a specialist in Pebble Bay and associate marketing director at PropNex. The unit fetched $3.68 million. The $1,400psf is close to the highest price achieved to date in the 13-year-old development. The record was for a 2,766sqft four-bedroom apartment, which sold for $4.13 million ($1,493psf) in January. “The price reflects the premium given to the views as well as the fact that there are very few four-bedroom units on the market,” Lim says, adding that in the first 6 months of the year, only 2 other four-bedroom units were sold. The other two units that were sold at Pebble Bay were three-bedroom units of 1,894sqft. One was sold for $2.54 million ($1,341psf), while the other went for $2.32 million ($1,225psf). The $2.54 million unit that was sold recently was purchased for $1.535 million ($810psf) in May 1996 when the condo was first launched, according to caveats lodged with URA. This means that prices have appreciated close to 66% in the last 15 years. Other condominium units in the Tanjong Rhu neighbourhood that changed hands over the same period were 2 units at Sanctuary Green, at $1,227 and $1,231psf, respectively. At Water Place, a unit was sold at $1,160psf, and at Costa Rhu, a 2,551sqft unit on the first floor was sold for $3.018 million ($1,183psf). At the 502-unit The Waterside, a 2,411sqft unit on the 11th floor was sold for $3.6 million ($1,493psf). The project has only three- and four-bedroom apartments, with sizes above 2,142sqft. While the other condos in Tanjong Rhu are of 99-year leasehold, The Waterside is freehold, with some of the high floor units having sea views. The Tanjong Rhu area is sought-after as it is near the upcoming SportsHub at Kallang and the Gardens by the Bay. 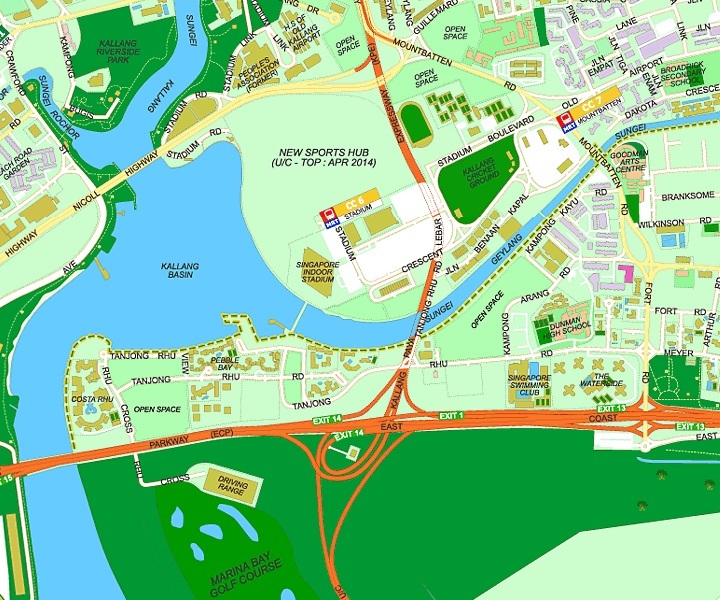 Under the URA Master Plan 2008, the Kallang Riverside will be transformed into a commercial and waterfront residential hub with about 300,000sq m (3.2 million sqft) of land zoned for 4,000 new homes. There’s been a buzz in the area since the Kallang Riverside (Land Parcel B) designated for hotel development was launched for application last month. Monthly rental rates in the Tanjong Rhu area are currently in the $3.50 to $4.20psf range, with gross rental yields generally between 3% and 3.5%, says Ku Swee Yong, CEO of International Property Advisor. Some owners of three-bedroom apartments at Pebble Bay are already asking for rental rates of $10,000 a month, while a recent listing on Propertyguru.com showed a four-bedroom apartment of 2,811sqft with asking rental of $13,000. Units at Pebble Bay are popular with home buyers and expatriate tenants because of the spacious units, says PropNex’s Lim. Its accessibility to the CBD and Marina Bay via the East Coast Parkway Expressway is also an attraction. The wife and I always have a soft spot for the Tanjong Rhu area – our first matrimonial home was a 1,700+sqft 2-bedder unit at Costa Rhu. There are always the little inconveniences, e.g. road closures along Tanjong Rhu/Mountbatten roads during some of the previous National Day parades or whenever there is a major running event (Marathon). The morning and evening traffic along the ECP is also a killer these days. But it is a nice little enclave in Singapore to live in, especially with the up-and-running Stadium MRT, the Marina Bay Golf Course and the reinvigorated Kallang Leisure Park all nearby. 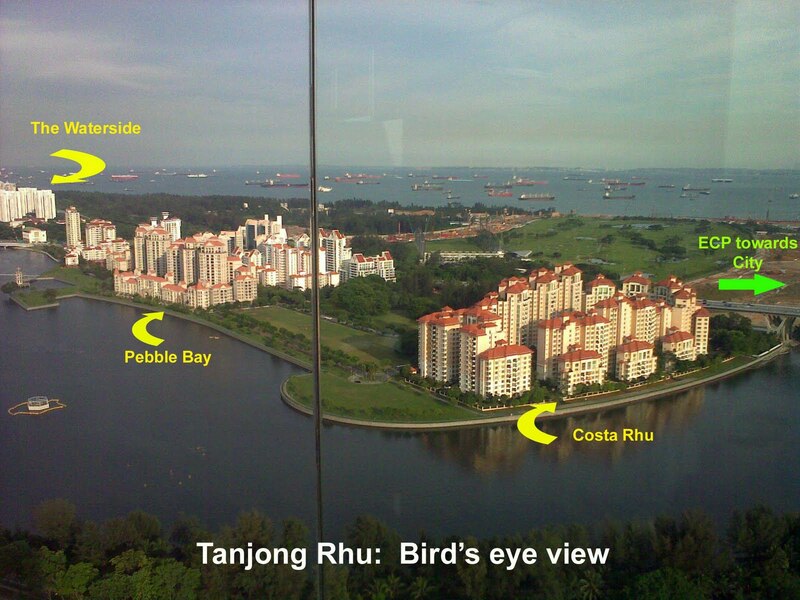 No Comment to " Property Spotlight: Tanjong Rhu "